Permanent lip-liner can give more fullness and definition to the mouth and is great for poorly shaped, thin, or pale lips. 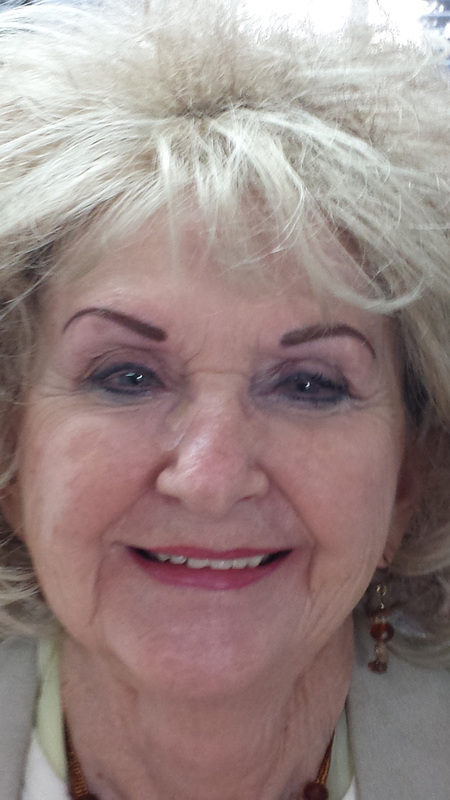 Permanent cosmetic lip tattooing is great for those who have lost color over the years. I offer three different treatments. First option for you to choose is a permanent lip-liner with no blending or shading. The second service offered is a Lip Blend. This is a lip liner and then a pigment fade half way down the lip. This gives you the definition of a liner, with a soft fade off. This service is very popular. The third choice is a Full Lip Liner. I set up two machines, one with a liner and one as a shader and then the entire lip is filled in. All clients must get a prescription of an antiviral medication to inhibit cold sores. You would get this from your family doctor or dentist. You have to take it two days before tattooing, the day of tattooing and for 7 days after the lip procedure. Please note: The intense lip color immediately after tattooing. Lip tissue will fade up to 50% and so the healed color will be much softer. I work with some ladies that want to have multiple services done. The way I approach it is doing an Eyebrow and eyeliner combo, then a couple of days later I will have my client come back in for the lip procedure. Results from 3 years later. 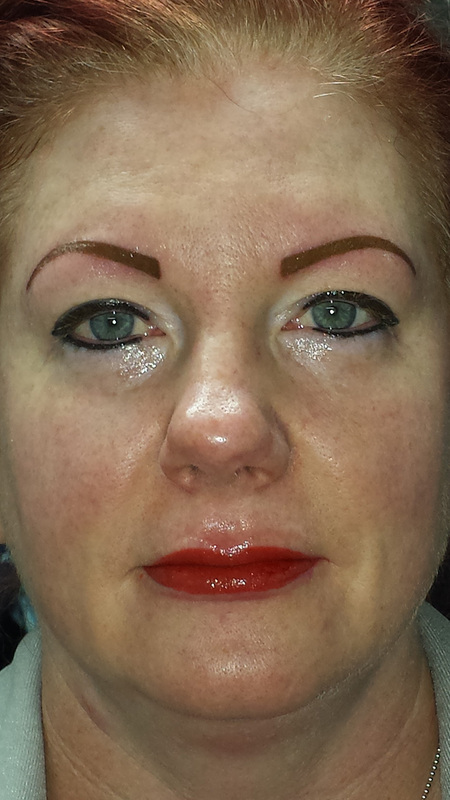 Client wanted me to tattoo her brows and eyeliner much thicker and go darker on her lips. Please call 801-940-1285 or book an appointment.